Easy Recipe, Deep flavor and Rich Dessert… Yum ! In a small saucepan heat until just dissolved. Refrigerate until cool. Pour into Ice Cream maker and whirl for 30 minutes. Pour into Freezer Container and freeze until firm. 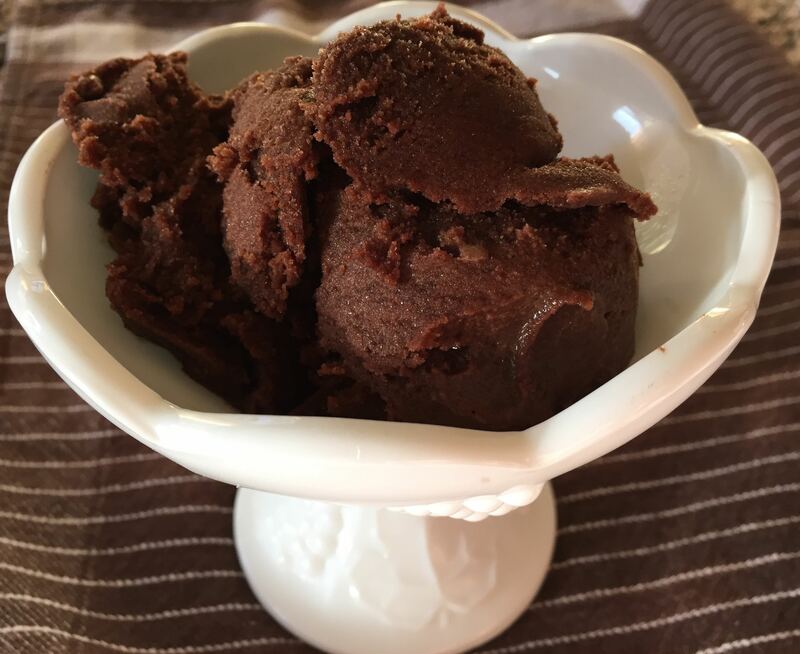 This entry was posted on Tuesday, January 6th, 2015 at 7:24 pm	and tagged with chocolate, chocolate dessert, chocolate granita, chocolate ice cream substitute, easy homemade dessert, gelato, gluten free, gluten free dessert, sorbet and posted in Category. You can follow any responses to this entry through the RSS 2.0 feed.